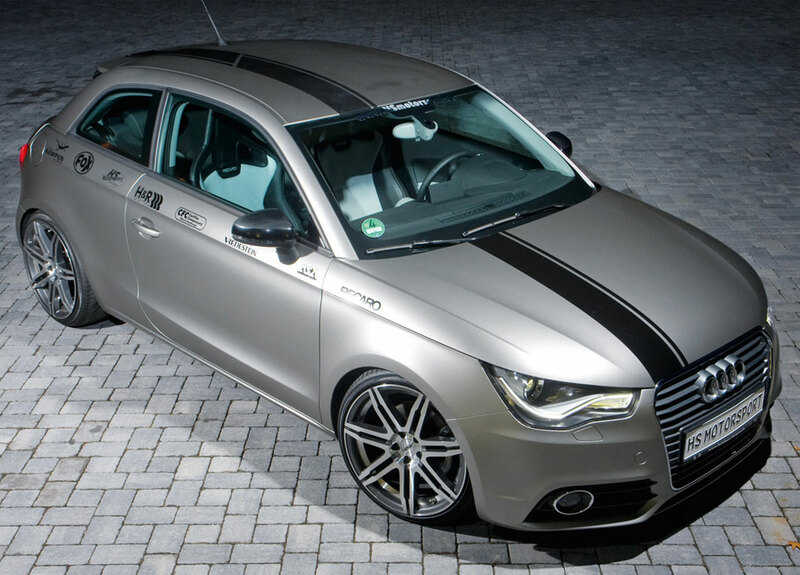 German tuning firm, HS Motorsport has revealed their take on Audi's "next big thing." 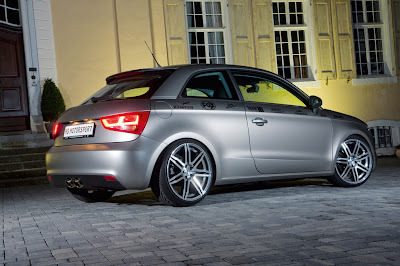 Offering a laundry list of modifications, highlights of the HS Motorsport Audi A1 1.4 TSI include; upgraded wheels, lowered H&R coilover suspension, Recaro CS seats, Fox Sport exhaust, optional upgraded ECM and a matte silver wrap. Full details and photo gallery after jump. 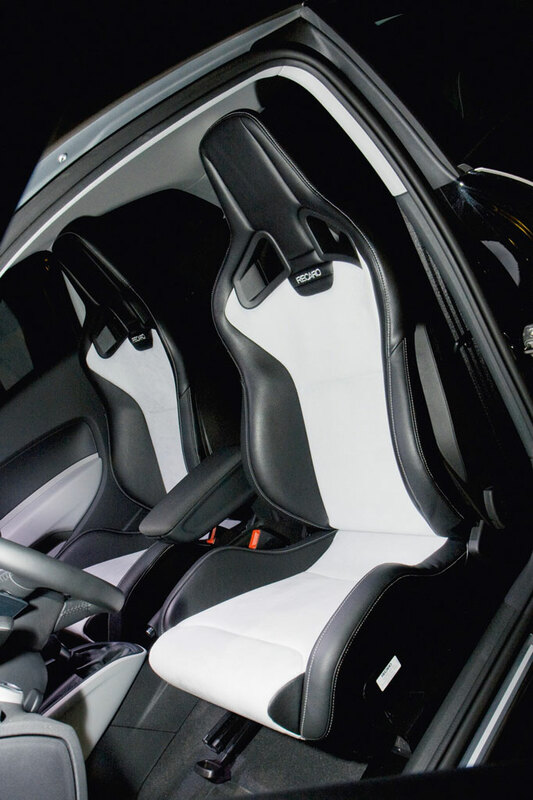 Handling was certainly high on HS Motorsport's list of upgrades for their Audi A1 project. 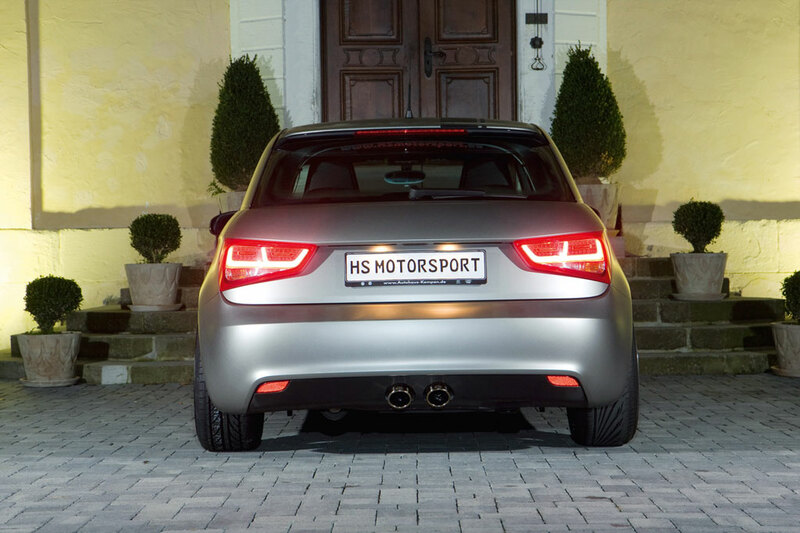 With the help of a newly-developed H&R coilover suspension system, the A1 is lowered 55 mm at the front and 60 mm at the rear. Coupled with 18" ASA GT1 or GT2 wheels, the HS Motorsport A1 achieves not only "go-kart like" handling but also a surprisingly nice stance. Rounding out the package is a performance exhaust system from Fox Sport (with upgraded rear valance for a VW R32-style exit), Recaro Sportster CS lightweight seats and a matte-silver exterior wrap by CFC Styling Station. Producing just 122 horsepower, HS Motorsport explained that the concept car (pictured) has retained its 1.4 TSI powerplant in stock form. However, the German tuner will offer an optional ECM upgrade adding 25 horsepower (to 147hp) and 37 lb-ft of torque. It's also noted that a Brembo front brake kit will also be available. What attracts the eye, first and foremost, is the effect-rich silver finish of the classy small car. The masterfully executed work of the CFC Styling Station in Neuss has ensured an avant garde optical effect. 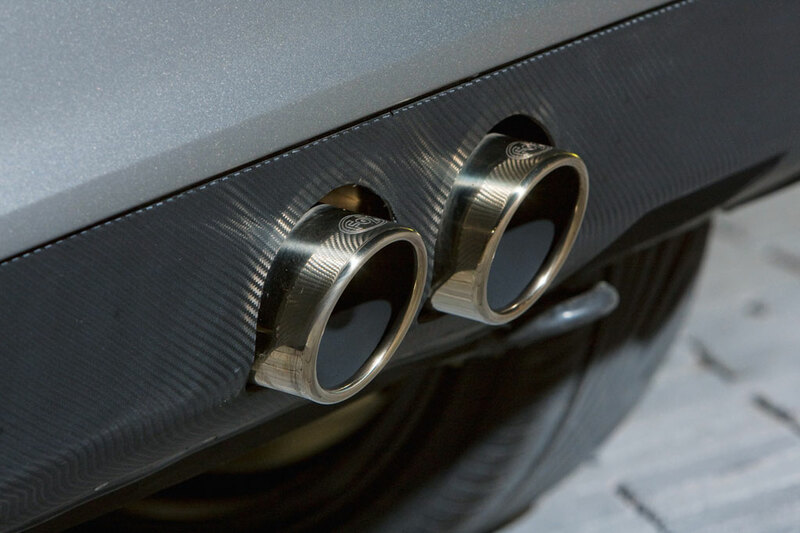 HS Motorsport has given the rear of the vehicle a modified bumper, which appropriately houses the R32-look tailpipes developed and manufactured especially for this project by Fox Sport Exhaust Systems. The classy tailpipes are complemented by a full-throated sporty rumble - almost cocky for a vehicle of this class. In terms of wheels, HS Motorsport offers plenty of choice - in fact, purchasers are spoilt for choice. Because: Both the classic ASA GT1 rims in black silk matte with a silver accent ring and the edgier ASA GT2 alloy wheels with their seven double spokes (available in either black silk matte or anthracite shine front-polished) appear to be made for the polished Audi. The 8.5 x 18 inch rim sizes remain the same. The 215/35R18 tyre configuration comes from Vredestein (Ultrac Sessanta) or Hankook (Ventus V12 evo).